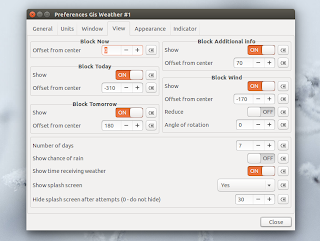 Gis Weather is a highly customizable weather widget which supports Gismeteo and AccuWeather, available for Linux and Windows. The app ships with optional Ubuntu AppIndicator / tray icon which displays the current weather. 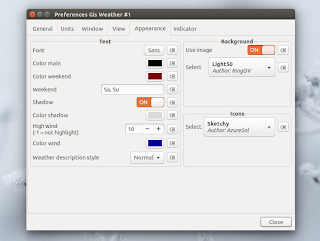 Gis Weather can be used as a desktop widget only, as an AppIndicastor / tray icon or both. The widget is highly customizable, allowing you to change the widget padding, transparency, scale, lock its position, set it to be displayed on all desktops, select the number of days to show, customize the background, font, icons and much more and it offers complete weather information, including forecast, humidity and so on. 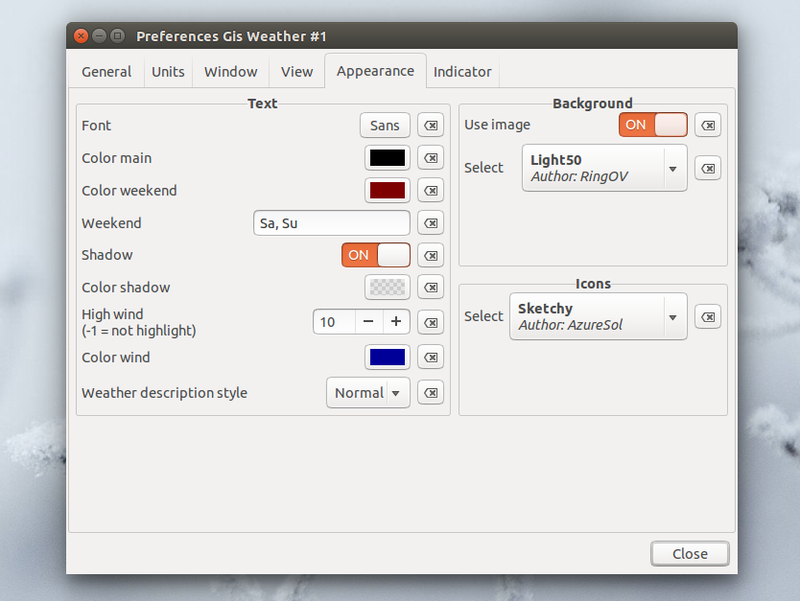 My Weather Indicator users will probably ask what's the difference between Gis Weather and My Weather Indicator, since both come with desktop widgets and an Ubuntu AppIndicator. Well, Gis Weather is more of a widget which comes with an Ubuntu Indicator and My Weather Indicator is the other way around. The Gis Weather widget is highly customizable but the indicator only displays the current weather while My Weather Indicator offers much more weather information in the indicator like the pressure, humidity, wind and so on, along with quick access to a 3 to 5-day weather forecast (depending on the weather service you're using) and other useful info. Of course, My Weather Indicator comes with multiple widgets which should be enough for most users, but they aren't customizable, at least not using a GUI. Also, the two support different weather services. To sum up this comparison, both applications are great and it's up to you to choose the one that suits your needs. Note: The Gis Weather downloads page offers deb, rpm and Windows setup files for download for the latest Gis Weather version, along with the source code. Arch Linux users can install Gis Weather via AUR.